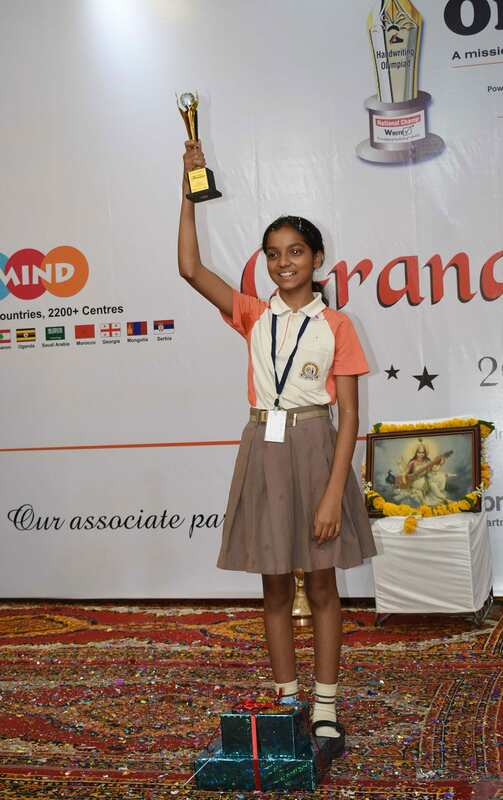 It is an international Handwriting Competition and the largest in the World. It involves student’s ranging from standard 1st to 12th. Every participants writing is analyse by Handwriting Experts from legibility point of view. Over 12,00,000 students from 24,000 schools have so far benefited from the advice of the experts. Handwriting affects the learning and overall academics of a child'. 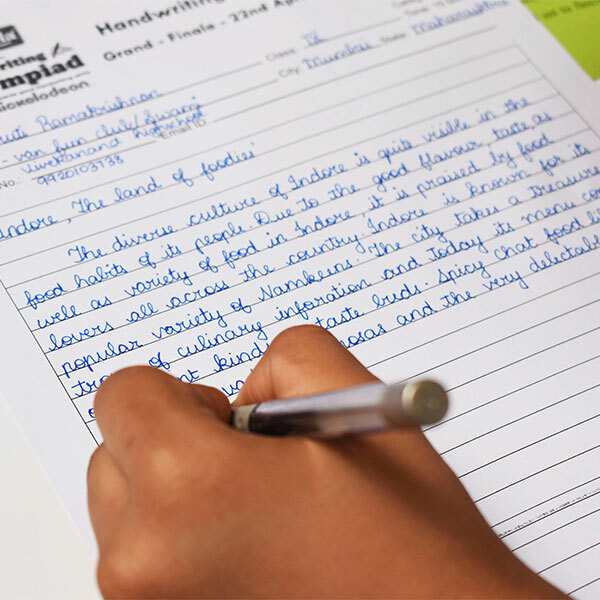 Get the handwriting of the children analysed by handwriting experts. 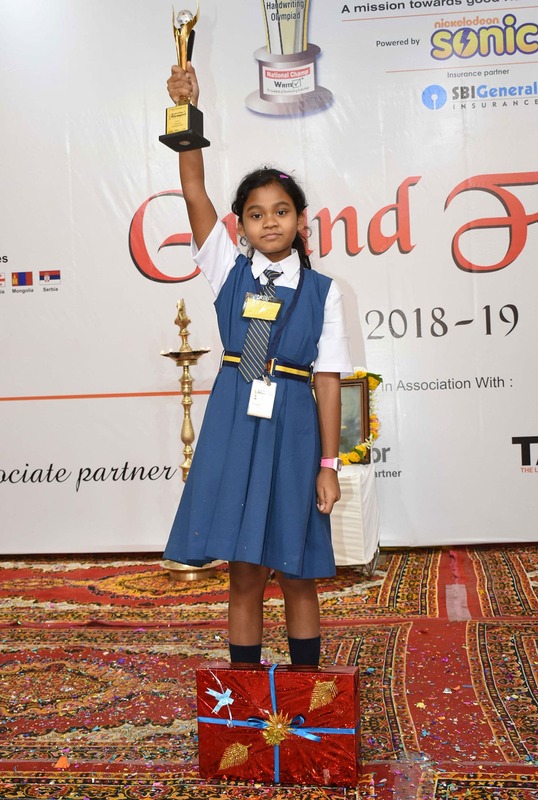 It is the World’s largest Handwriting competition involving students from 1st Standard to 12th Standard, and is conducted within the premises of the School, PAN India. Every participants Handwriting is analyzed by Handwriting Experts of ‘Write Right’ the World’s largest chain of Handwriting Institutes. Errors in the handwriting are identified and individualized, implementable corrective advice is given to help them improve their legibility. 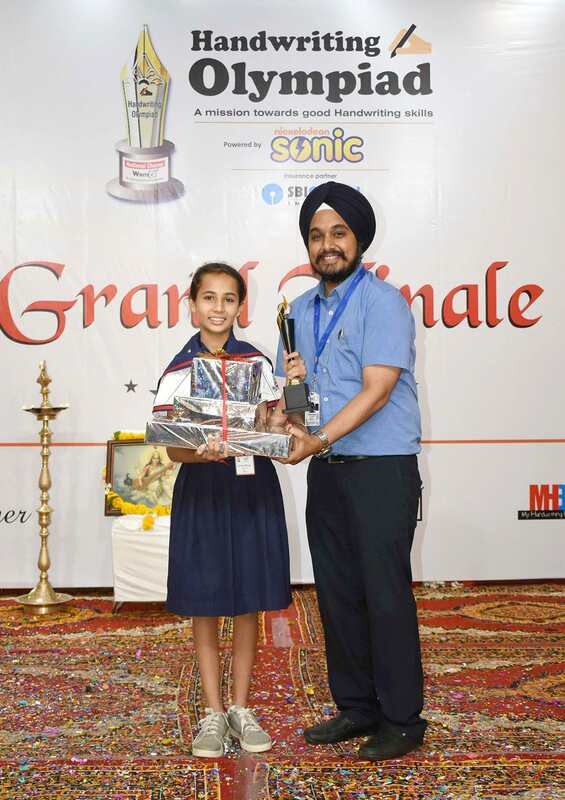 The best writings are awarded with Trophies, Medals and Gifts. 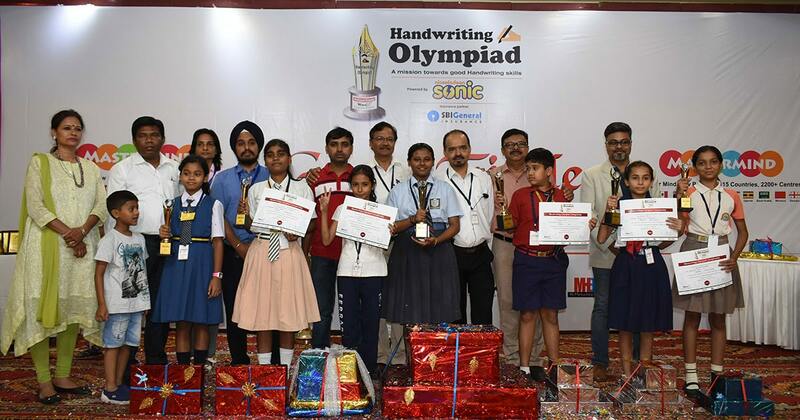 Handwriting Olympiad is being organized since 2010 by ‘Write Right’, the world’s largest chain of Handwriting Institutes. 'Write Right' an institute of Handwriting Technology. 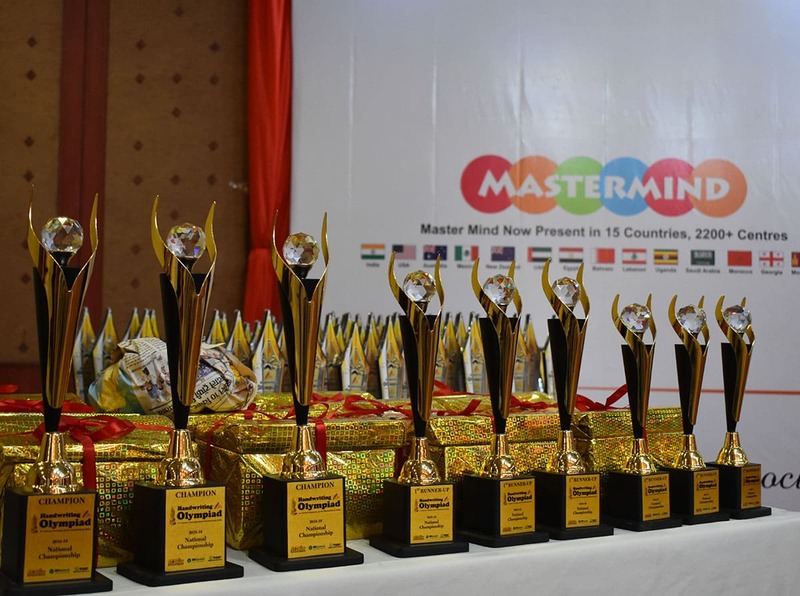 It is a Multinational Education based Company, present in over 12 countries through its 1200 plus education Franchisee Partners. Research, Development & Training in Handwriting has been our forte. Being in the field for the last 20 years, we have gained expertise in solutions for all Handwriting related problems, be it improvement, speed, calligraphy etc. 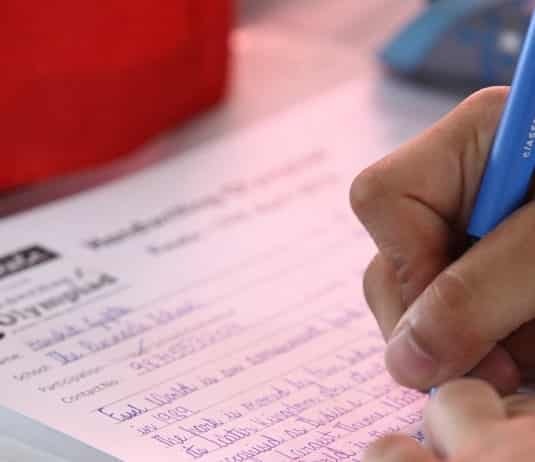 The technological explosion in communication has pushed handwritten communication abilities to the back drop, but a student's capability is still judged by what he/she hand-writes on his/her 'exam' papers. This legibility issue greatly affects the GRADES and academic career of a student. Studies further reveal that every 3rd school going child has legibility issues in Handwriting. All good intentions & efforts of schools to tackle this menace have gone in vain. 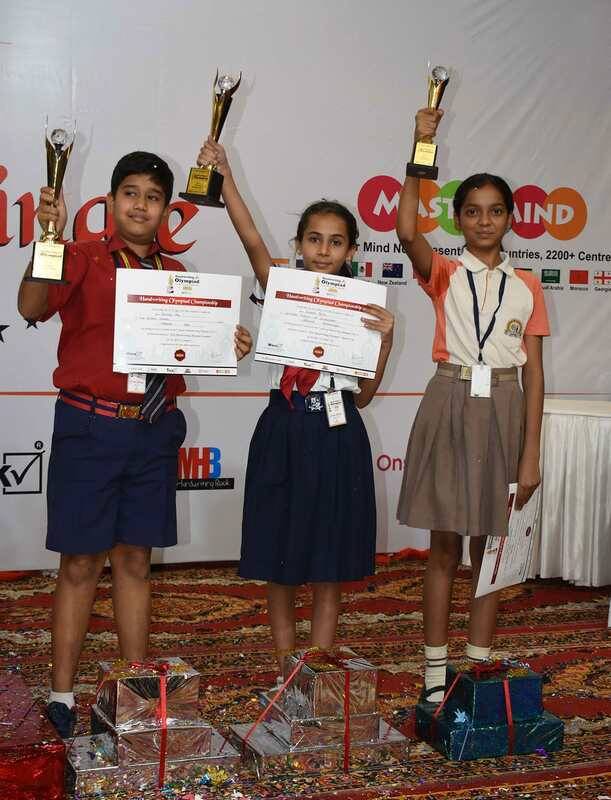 Hence, Handwriting Olympiad was introduced in 2010 as a platform where every participating student could get individualized corrective advice from Handwriting Experts and improve upon legibility. Writing is not just a physical activity done through fingers, but it involves the brain that thinks, converts the thoughts into words, gives a command to the hands for the motor action and the final output is a readable product on the paper. 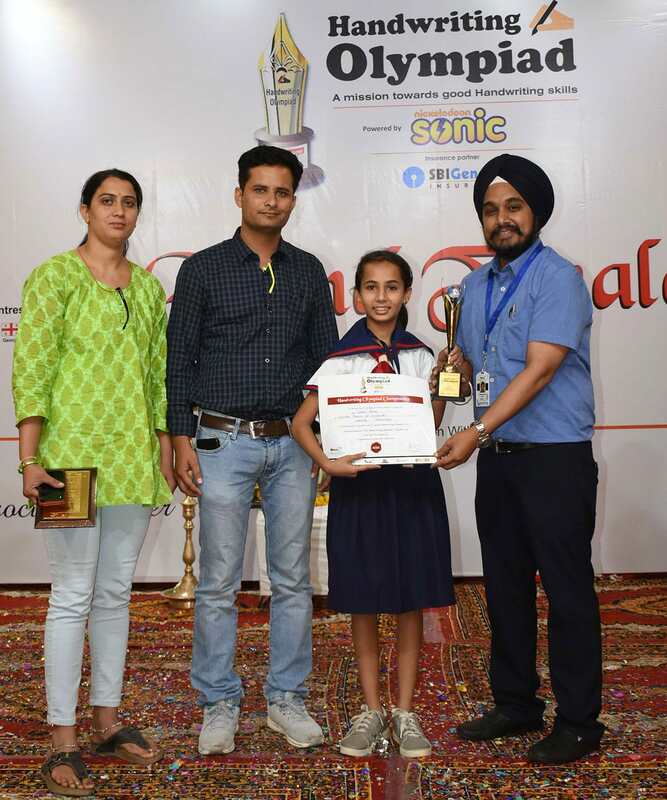 An award distribution ceremony is organized every year to felicitate the extraordinary performers who win the Olympiad Championship. 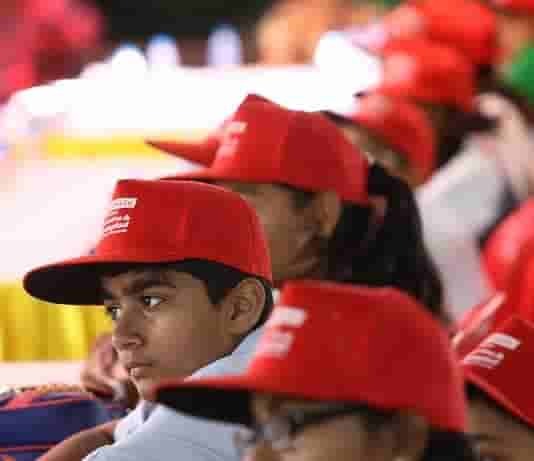 This entire activity is conducted in presence of a large audience of parents, teachers, press & the Directors of the company. NOTE: State Champion gifts only for those who participate in the finals. This activity has been planned keeping in view the convenience of schools. The competition is open for the entire period from 1st May, 2018 to 31st January, 2019. A school or an education institute can participate any time in this period. The participation certificates along the corrective advice will be send within 40 days of the receipt of the writing sheets by the company. The Trophies & Medals for the winner's will also be sent along with. 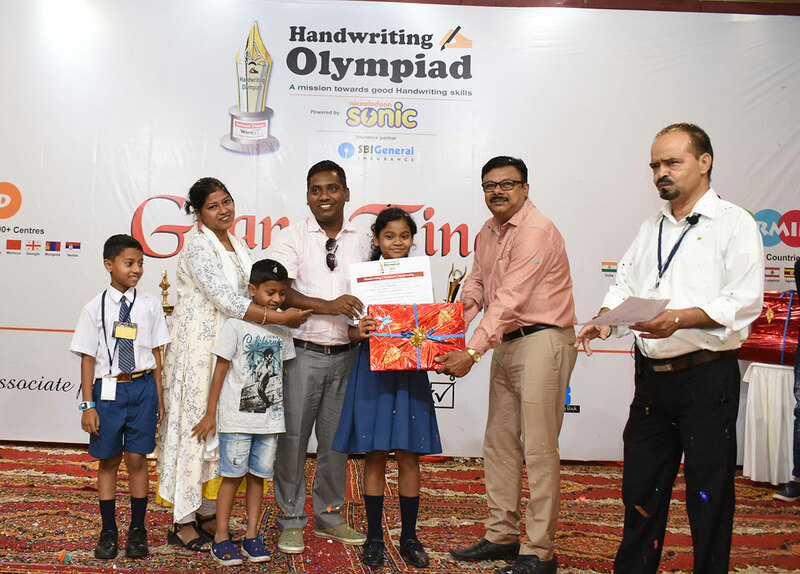 The primary activities of the Handwriting Olympiad will be completed by 31st Jan, 2019.There after the 2 best from the School Champs of participating schools of a state will be selected and be declared as State Champs & Runner-up in Feb 2019. Additional 4 worthy writings would also be selected for Consolation Certificates. The concerned schools, institutes, coordinators, students & parents will be intimated of the same. 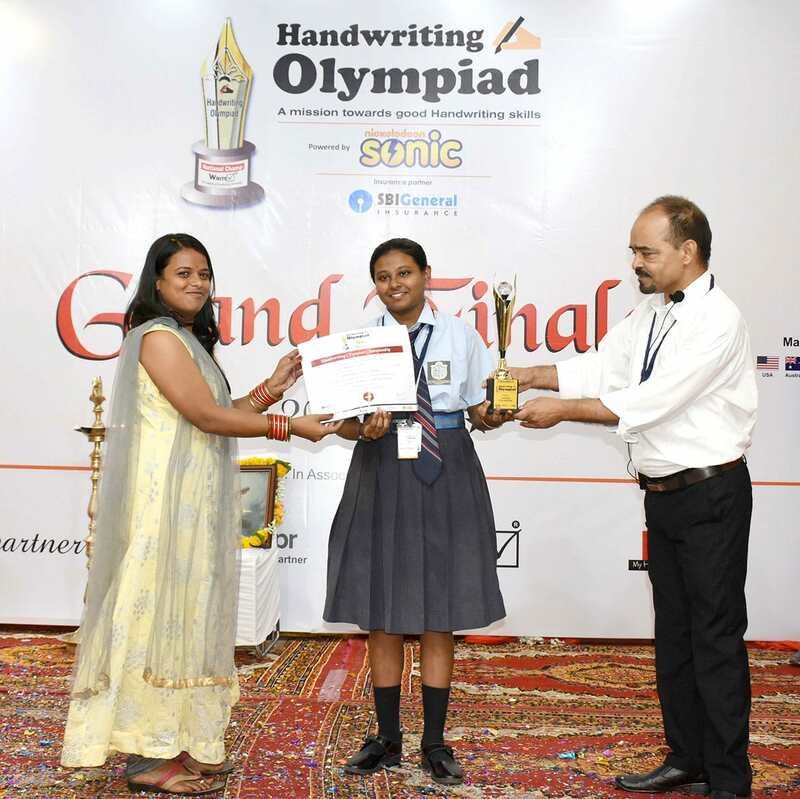 The State Champ (They will directly qualify for finale) & Runner-up will represent their respective states in the final of the Handwriting Olympiad. There will be 4 Zonal Pre-Finale Competitions conducted Zone Wise. One each in East, West & Central, North and South. All other Ranked Handwritings and the Consolation writings will qualify for the Pre-Finale. Approximately 21 best Handwritings from each School will be selected to participate in the Pre- qualifier competition. They get a second opportunity to become a part of the Grand Finale. 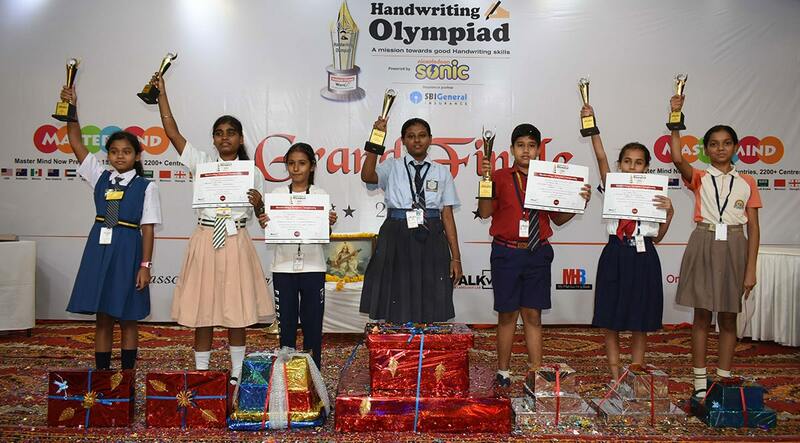 All State Champs & Qualifiers from the pre-final competition across the country will participate in the Grand-finals of Handwriting Olympiad 2018-19. The Date & Venue of Finale will be informed later. 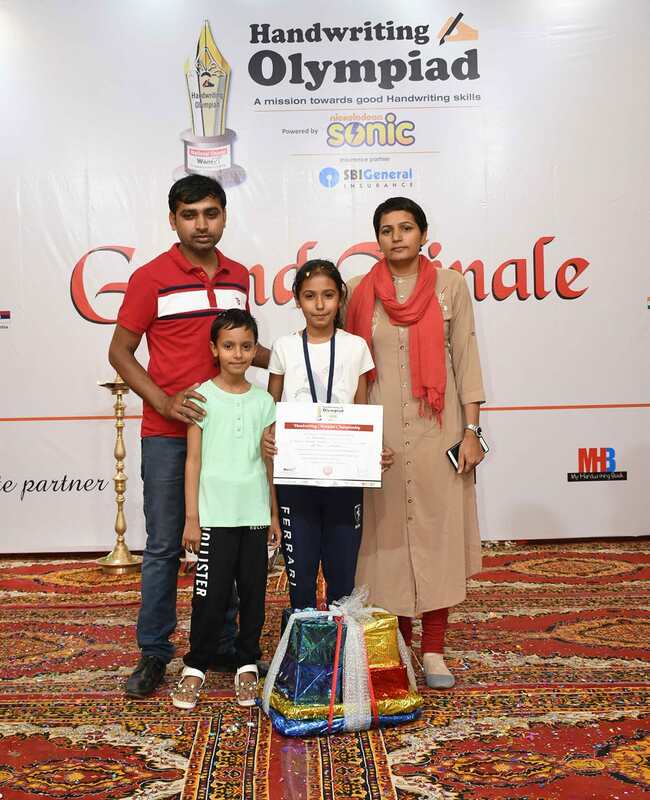 While every participant is a winner, our congratulations to all those whose abilities got special mention from the experts. Every writing howsoever good always has a scope for improvement, but the better ones deserve to be encouraged and awarded. 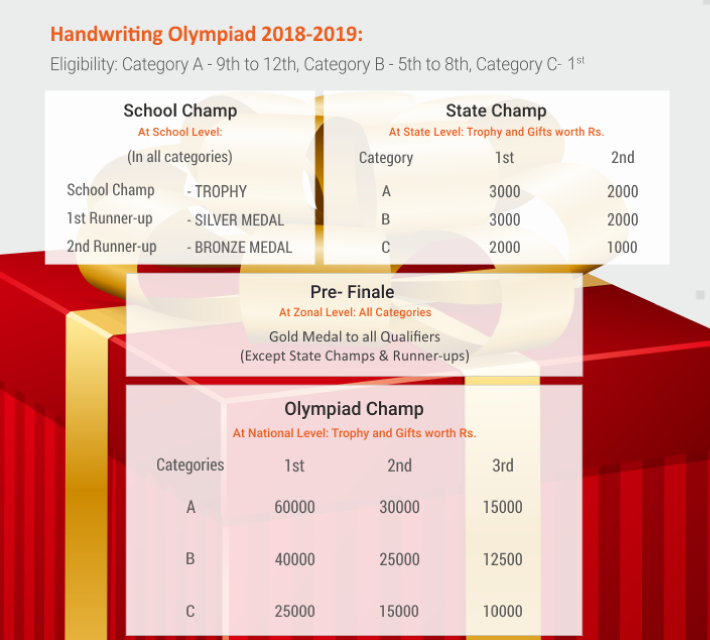 Follow the Schedule, do not miss the opportunity to become a part of the Journey of Handwriting Olympiad in 2018-19. It has been established beyond doubt that good writing skills are the building block to learning. 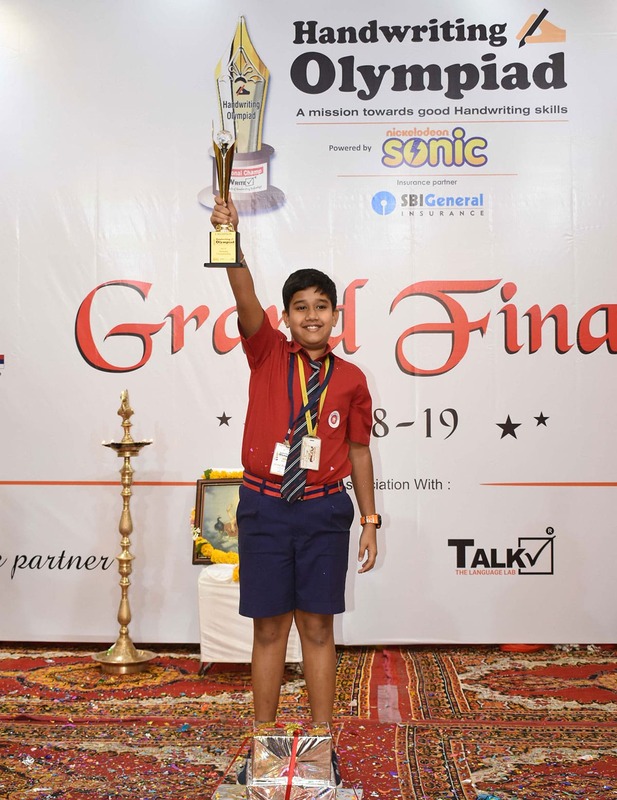 Various studies have proved that handwriting not only develops the mind and motor coordination but helps in learning letters and shapes, improving idea of composition and expressions. Registration form is available on the website. You can download or ask for the Hard copy of the same. A Handwriting Olympiad Poster will be provided by the company which may be displayed on the school Notice Board. Brochures for distribution among students will be provided by Company, if required by the school. Registration fee of Rs.120 per participant to be collected by the School. Prepare a DD in favor of ‘Write Right Events’ payable at Indore. Please do not make any cash transactions. Students from standard 1st to 12th will be eligible for participation. Company shall send the writing sheets for the competition accordingly. Fix a date as per school convenience & conduct the competition in school premises. Students have to copy the printed matter from the left on the blank space given on the right hand side of the competition sheet within 15 minutes. Send the writing sheets back to the company for evaluation. There is no competition for State level. 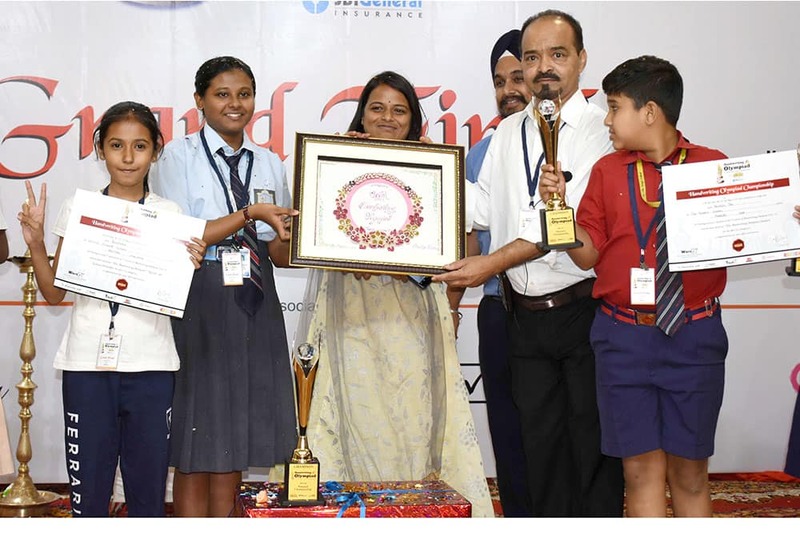 2 best Handwriting from each Category of all School Champion's of a particular State will be selected as State-Champion & Runner-up. Also addition 4 worthy Handwritings will be awarded Consolation Certificates. All other Ranked Handwritings and the Consolation writings will qualify for the Pre-Finale. Approximately 21 best Handwritings from each School will be selected to participate in the Pre- qualifier competition from each Category. 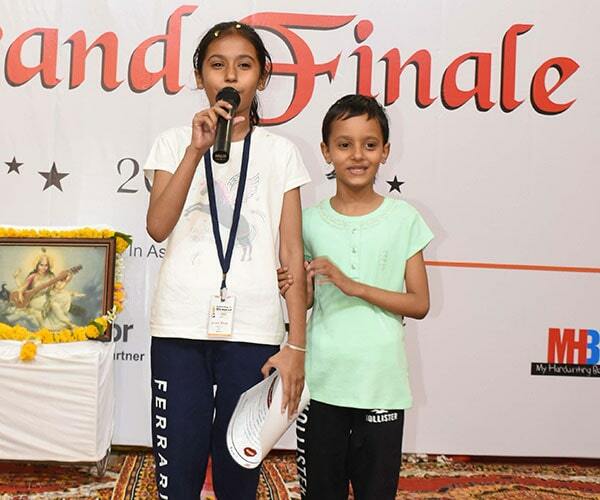 They get a second opportunity to become a part of the Grand Finale. 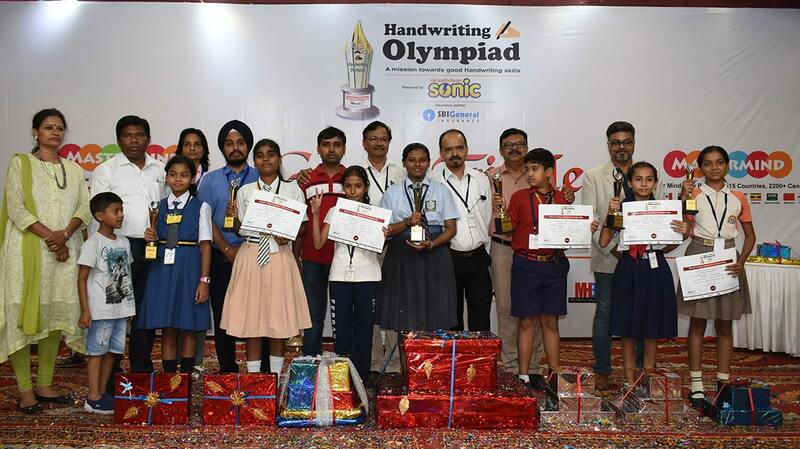 All State Champs & Qualifiers from the Pre-final competition across the Country will participate in finals of Handwriting Olympiad 2018-19. 1. My handwriting is not good, why should I participate in Handwriting Olympiad ? The problem with your handwriting is illegibility, which is due to certain technical flaws in the style of writing. Expert guidance is required to overcome these flaws. 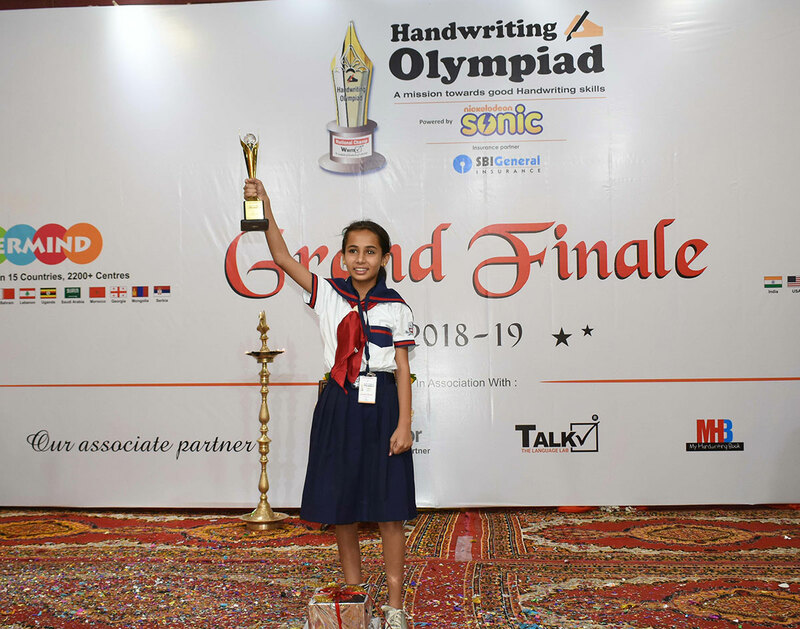 Once you have participated in the Handwriting Olympiad, your written sheet will be analyzed by experts from the field of handwriting and you will be given individual corrective tips for your handwriting. 2. Is there any recommended preparation book for Handwriting Olympiad? What kind of preparation do I have to do for this competition? No, you neither need to prepare nor there is any book available. You should write in your Original, Natural Handwriting and at your usual speed in the competition. This is important for getting effective corrective advise from the experts. 3. I write in print style, can I participate ? 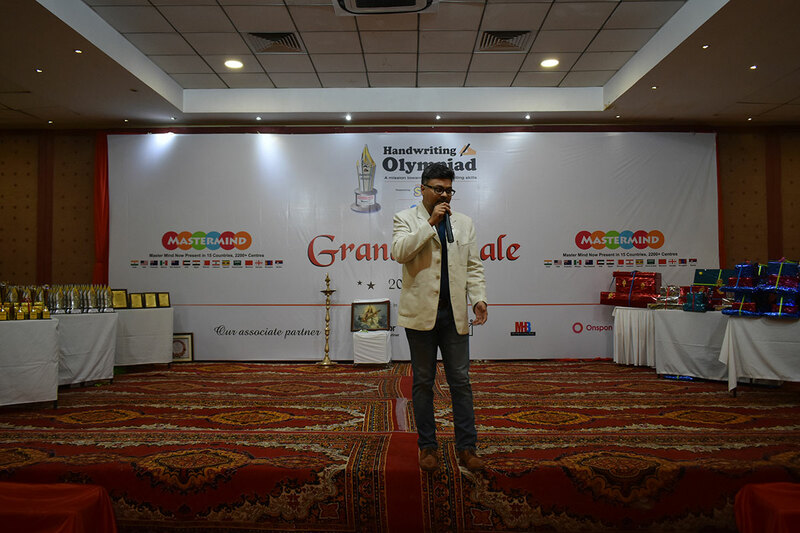 Of course you can participate because this Olympiad allows you to write in cursive, print or italics. Moreover, an expert advice will always add value to your present handwriting. 4. 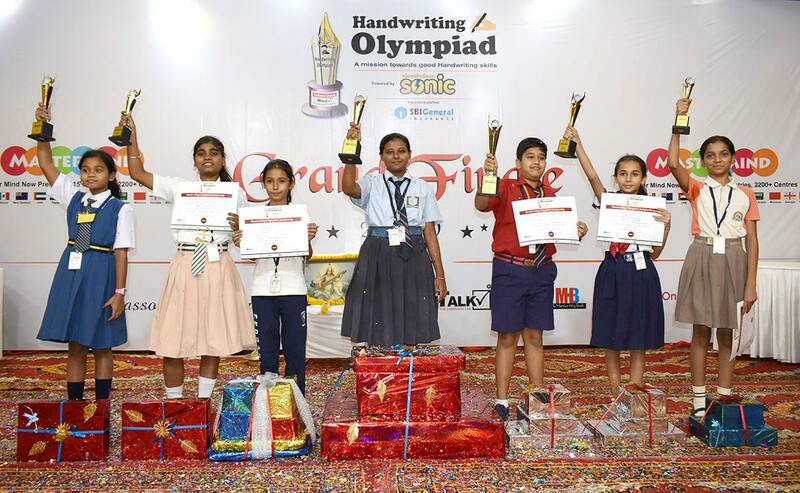 Is Handwriting Olympiad conducted in English only ? 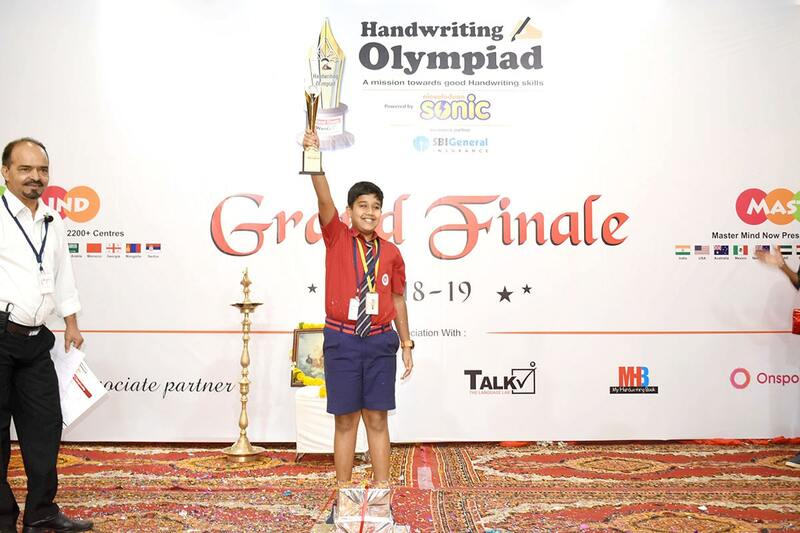 Yes, as of now Handwriting Olympiad is conducted in English only. 5. Are there any specific type of writing sheets or recommended writing instrument (pen/pencil)? 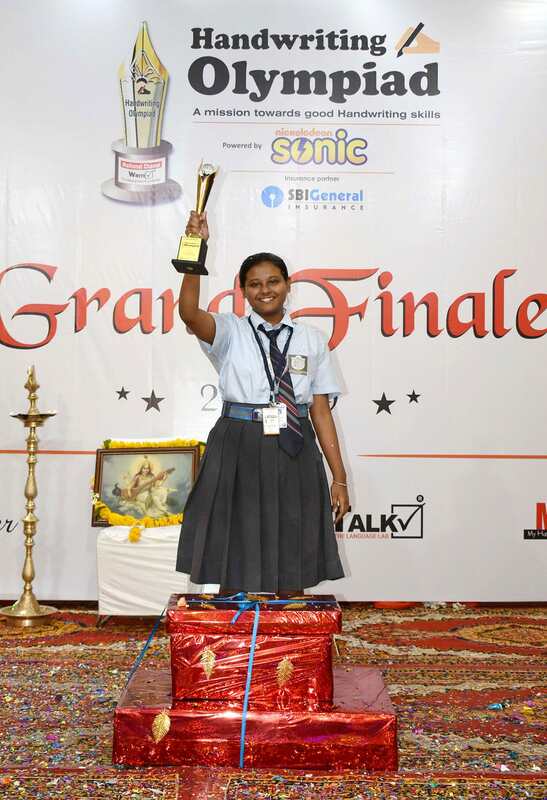 Category C – 1st to 4th Standard, Category B - 5th to 8th Standard, Category A - 9th to 12th Standard. Category C students are given 4 lines sheets and permitted to write with pencil. 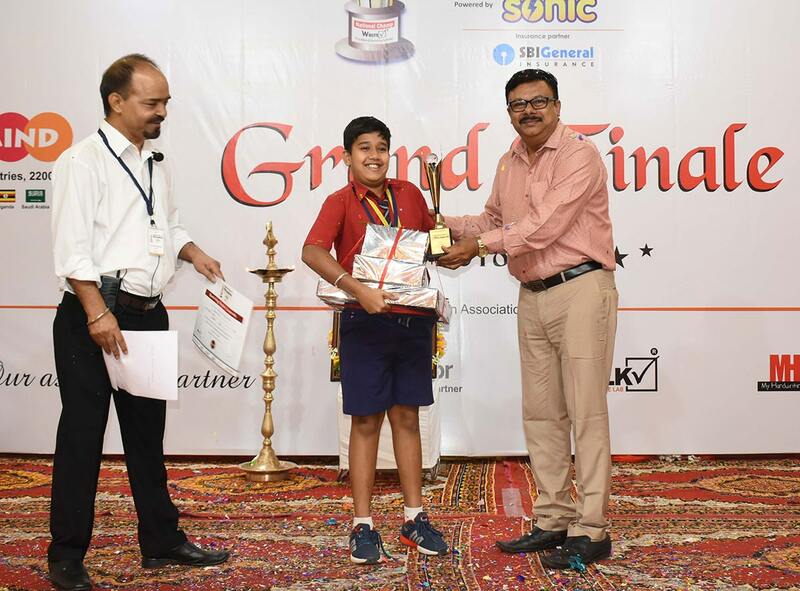 Category – B & A students are provided with single line sheets and can use any pen (Blue or Black Ball/Gel/Ink) that they are comfortable with. 6. I am in Category C, but not comfortable in writing on 4 lines or with pencil? You can ask for single line sheets and can write with pen. In fact we would recommend you to use the pen that you are most comfortable with. 7. Can I participate once again in the same session ? No, you cannot participate in the same session. 8. 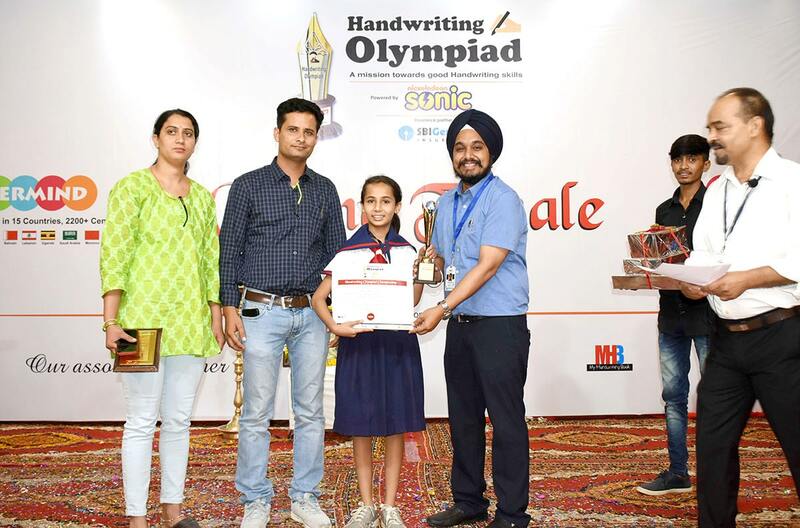 My School is not interested in Handwriting Olympiad. How can I participate ? The process of participation requires a student to participate through a school that is registered with Handwriting Olympiad. You can register online through the website for participation as an individual and you’ll be guided to the nearest Handwriting Olympiad center in your city. You may also participate as an individual participant by filling the ‘Student Inquiry Form'. 9. What is the structure and pattern of this competition? a. Your school has to register with Handwriting Olympiad and in order to participate you have to register at your school. b. 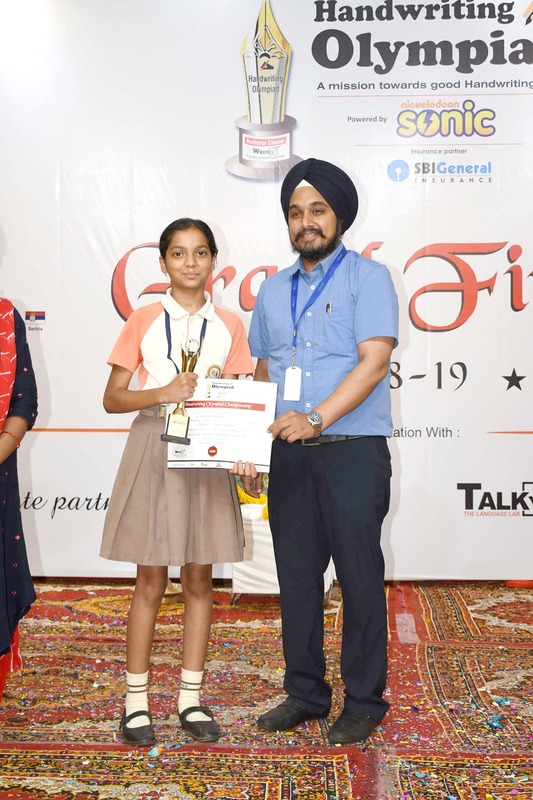 The date of the competition will be informed to you by your school and you’ll have to appear for the handwriting competition in your school / center / institute premises. 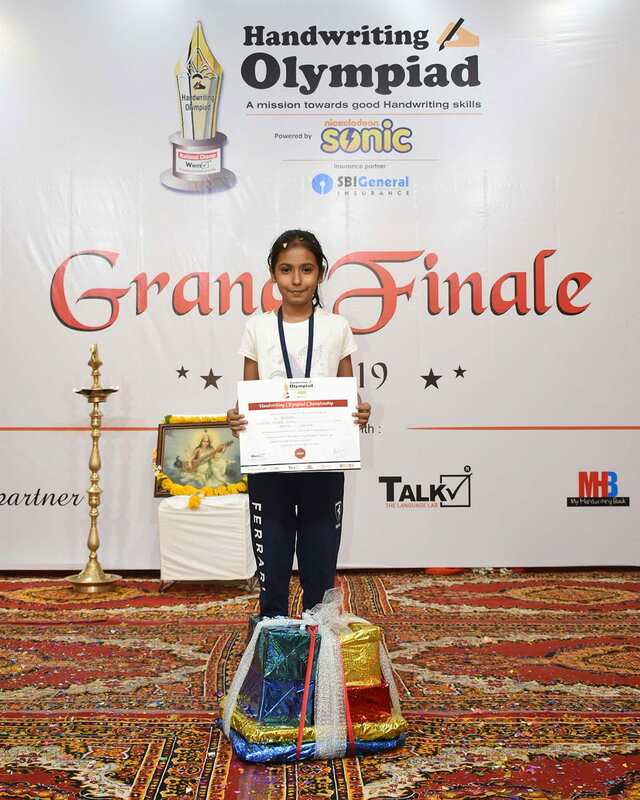 c. The written sheets will be evaluated by the Handwriting Olympiad Jury to select the SCHOOL CHAMP,1st RUNNER UP and 2nd RUNNER UP of the Competition. 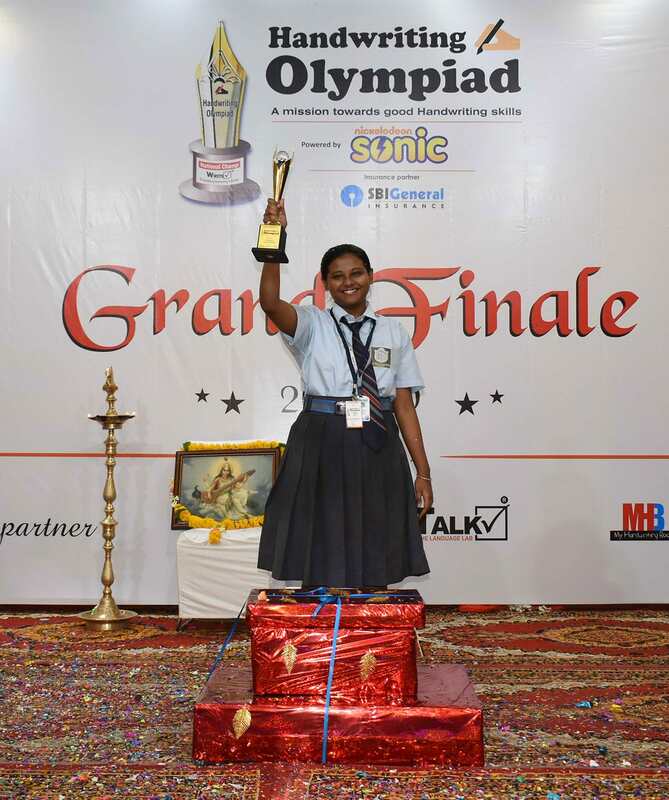 d. The top three of all participating Schools from your State will once again be evaluated for the selection of State Champs and Runner Ups, who will further qualify for the finals of the Olympiad Championship. 1. All Rankers from each School. 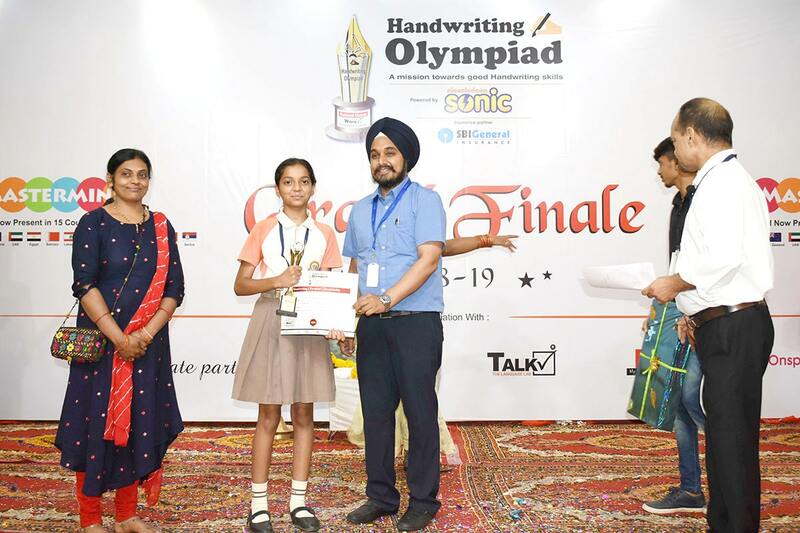 f. All the State Champs and Pre-Final Qualifier will have to reappear in the final written Competition that will decide the Olympiad Champ, 1st Runner Up and 2nd Runner Up of Handwriting Olympiad 2018-19. 10. When will the results be declared? 40 days from submission of written sheets. 11. 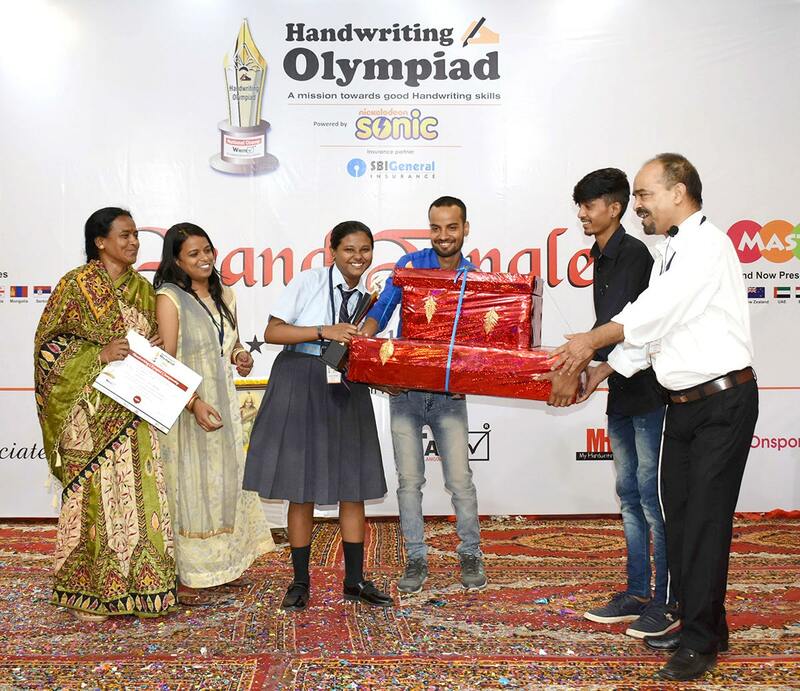 How will Handwriting Olympiad benefit the students? a. Individual corrective advice to all participants from handwriting experts. b. Recognition as Champion of School, State or Nation. c. Gifts for State Champ, National Champ, Certificates, Medals and Trophies. 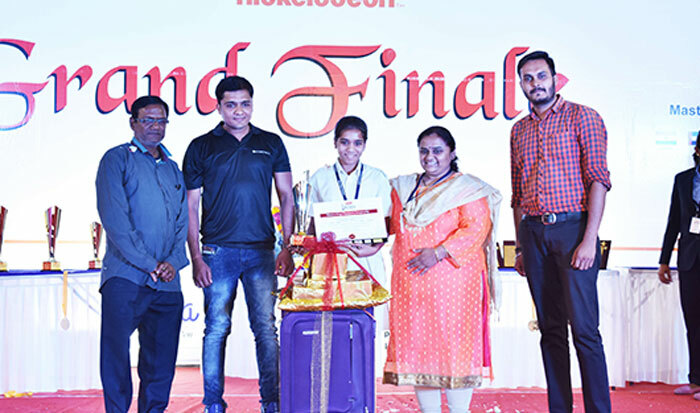 d. Exposure to a National level Competition. 12. 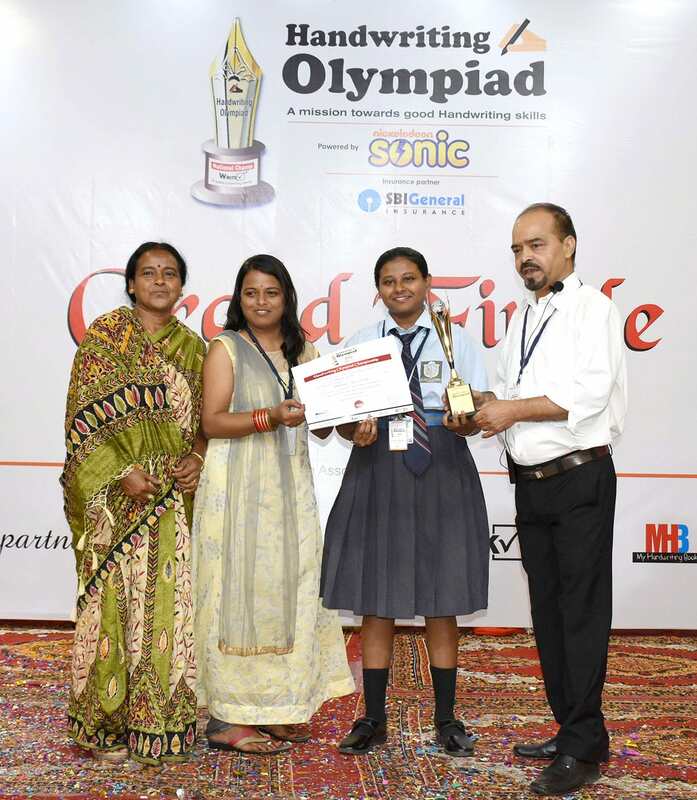 I have participated in Handwriting Olympiad in the previous session and got corrective advice also. Why should I participate in the competition again and how will this benefit me? Since Handwriting of an individual changes with passage of time and there are possibilities of new errors creeping in, it is advisable that you keep participating and getting expert advice regularly. This will help you in maintaining the quality of your handwriting. 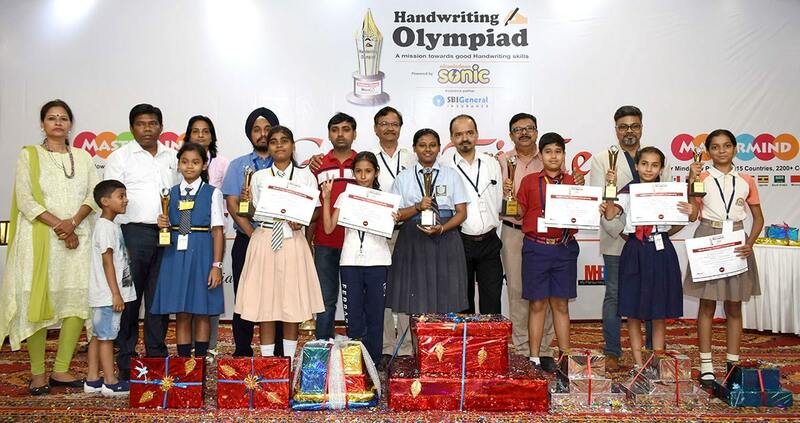 The handwriting Olympiad is organized in the premises of school or centers. 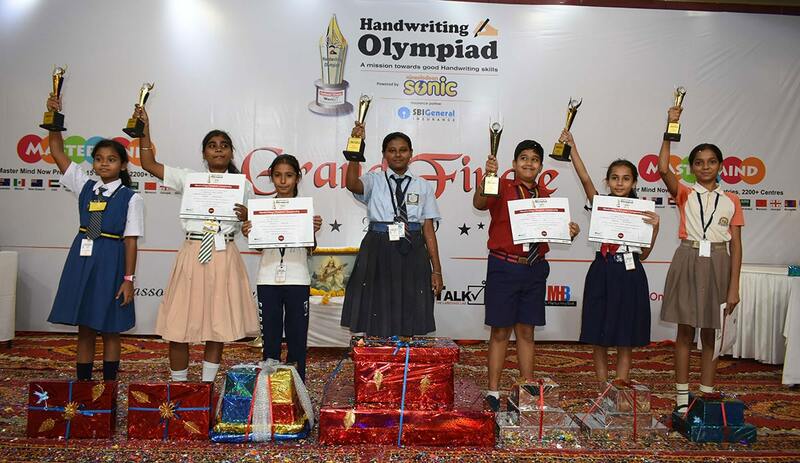 Clear all your doubts about Handwriting Olympiad. Find answers to questions that may have remained unanswered. 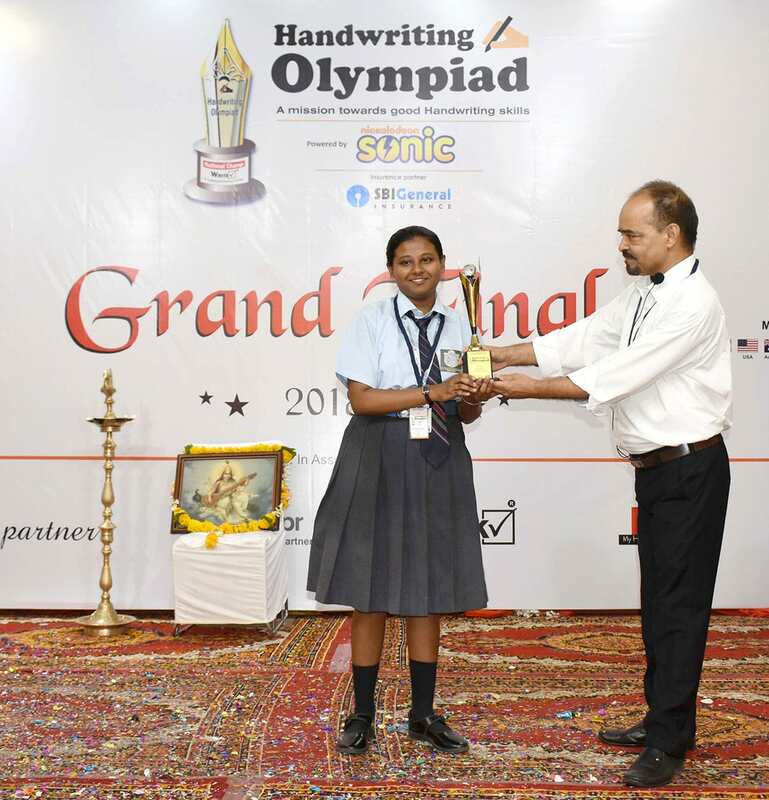 Fill in the form and get complete information of participation process in Handwriting Olympiad. Submit the form to get information about participation as an Individual Entry. Fill the form to become an associate as a Member of the Organizing Team of Handwriting Olympiad. 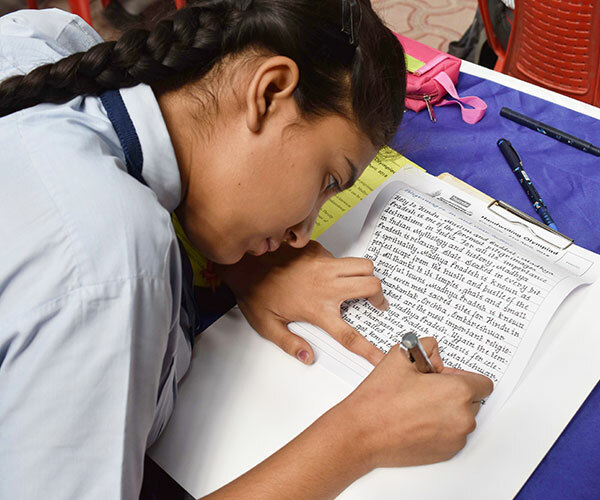 Fill in the details to get information about conducting a Handwriting Workshop in your School Premises. To give quality and to be service leaders among the children & parents, as the most trusted corporate in the field of education.